Asha Reed is light-years from Earth, stranded in an alien territory known as the Protectorate. Accompanied by Laela (tiny angry self-taught mechanic) and Ysal sai-Vysri (odd-job jack, giant space lizard) aboard the cargo shipWayfarer, Asha is determined to solve the mystery of how she got here, and to find a way home. When Wayfarer makes a stop at mining colony of Dagrun, Asha meets the young, idealistic Dr. Vaz. But a clash between Dagrun's rival factions threatens to escalate into total war, and Vaz is standing right at the center of it all. 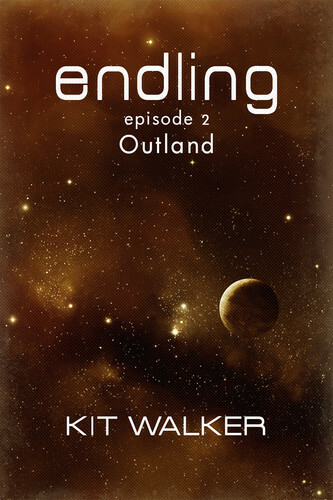 "Outland" is the second episode of Endling, an episodic ebook series. Each episode is pay-what-you-want, DRM-free, and available in .epub, .mobi, and .pdf formats.